The outstanding challenges of Alexandre Deulofeu and their solutions, according to Agusti Chalaux. be bursting out, and waters in the dry places. At a time when there is a global crisis, when all the twentieth century models have failed, we have no point of reference to understand a history which seems to be going adrift, and a political action which appears to be unable to subdue the factual powers which take advantage of the situation. Reading the vital and intellectual story of A. Deulofeu and A. Chalaux challenges the validity of the standards which have ruled our collective thinking on history, politics and economics, and shows the need for us to look beyond in order to set down new models and not to get caught by the mediocrity of the day to day political jobbery. The defence of peace by Alexandre Deulofeu during the Civil War of 1936-1939. 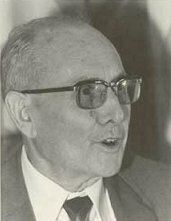 Alexandre Deulofeu (1903-1978) was a versatile man: a pharmacist, a chemist, a politician, philosopher of history, musician, an experimental farmer, a hodman and poet, who worked out a cyclical theory of imperialism1 and civilizations, which his friend Francesc Pujols called The Mathematics of History. But even before working out his theory. A. Deulofeu was a man involved in peace and the understanding among peoples of different races and ideologies. A. Deulofeu, as a left-wing man, republican and Catalanist, wrote articles for the Figueres newspaper L’Empordà Federal, where he debated with his political opponents of the other Figueres newspaper, La Veu de l’Empordà. He was appointed as town councillor of the Figueres city council for E.R.C. (Esquerra Republicana de Catalunya). In the days of the military uprising in July 1936, because the regular mayor was in Barcelona to give a lecture, he was appointed deputy mayor2. In his new position he prevented the armed people, faithful to the Republic, from confronting the military in the Figueres Castle, who were still hesitant3. He also avoided the looting and destruction of religious buildings and works of art4, besides allowing his political opponents to escape to France. He promoted the creation of the Committee of the New Unified School, which carried out a fruitful task, which was later cancelled because of the continuation of the war5. Later, he re-established the Figueres city council6. As a councillor he took part in the transformation of the school of arts and crafts into an industrial school7. After the events of 3rd May 1937, he went back to the city council, where he worked to reorganize the city financial affairs8. After that he resigned his post as mayor, and became Culture Councillor9. He was called to arms in September 1938 as military health officer10. After the republican defeat on 5th February 1939 he went into exile, leaving behind his wife at Figueres, in charge of the family pharmacy and of their two daughters11. In his exile, he was interned in a concentration camp in Perpignan, where he suffered the privations of the Catalan and Spanish republican refugees in France12. One of the persons with whom he used to indulge in polemics through the papers, and whom he had helped to escape to France when he was the mayor at Figueres, (mossén Barceló, a priest from Majorca who besides was a poet) paid the favour back to him and to a group of fellow sufferers, by obtaining their liberation13. The cyclic theory of Alexandre Deulofeu. Alexandre Deulofeu, under the influence of Oswald Spengler and Arnold Toynbee, started to work out his cyclic theory in his first book, Catalunya i l’Europa futura, published in 1934, with a preface by Antoni Rovira i Virgili. But it was during his exile that he perfected this theory until, on his return from France, he decided to create his own publishing house, Editorial Emporitana, and to publish the configuration of this theory all along human history. Alexandre Deulofeu compares historical cycles with the natural cycles of living beings. According to him, civilizations or cultures have up to three cycles of approximately 1700 years each. These cycles bear upon all the aspects of human life: art, philosophy, science, politics, economics, religion, etc.14. Each 1700 years cycle of civilization or culture starts with a phase called demographic fragmentation, which lasts about six centuries and a half, where the political power is divided in small nuclei, but where the maximum artistic, philosophic and scientific creations take place15. Later arrives the phase called of great unification, which lasts about ten centuries and a half, where nothing new is created, but where the creation of the previous phase spreads all over the territory touched by this culture. At the end of the cycle, the peoples give up voluntarily any manifestation of the spirit. The transformations which take place from one stage to the next often follow an oscillating process, where the deepest advances alternate with retrocessions which are not so good. This is what he calls the law of two steps forward and one step backward16. Of the three cycles of 1700 years which a civilization or culture may have, the first one consists of the imitation of the preceding culture. The second cycle is the one of plenitude, where the true personality of the culture involved becomes apparent. Finally, in the third cycle there is an imitation of the art, philosophy and science of the two preceding cycles, after which the creative work of the past generations is completely forgotten17. During these civilization cycles, there appear the different imperialisms which have an approximate length of five to six centuries. These imperialisms show a first federal phase18, after which there appears a depression, followed by an aggression phase called absolutist, the military defeat, the conservative phase of plenitude, and finally disintegration and death19. While he was working out his theory, he also made a number of predictions which were not the result of revelations or of supernatural abilities, but were based on his theory itself. Already during his exile, Alexandre Deulofeu had stated his opinion that Germany, in spite of her aggressive escalade, would be defeated in the Second World War. But after the war finished he announced that, in ten years time the defeated Germany would be in the lead of Europe, while the French and British imperialisms would undergo a decline20. In his book, La pau al món per la matemàtica de la història, A. Deulofeu added his prediction that around the year 2000 the Soviet Union would collapse21, while the two Germanies would come together again. The defence of peace by Alexandre Deulofeu during the Cold War. Being aware that the United States of America could come to believe their own propaganda and transform the cold war with the Soviet Union in a «hot» one, Alexandre Deulofeu convinced a brigadier from Venezuela, who belonged to the NATO, Víctor José Fernández Bolívar, to spread Deulofeu’s theory in this organisation, in order to convince the western block that their enemy would fall without any fight. As a consequence, the above-mentioned brigadier between 1962 and 1964 published a thesis in the Higher War School in Paris, partially based on Alexandre Deulofeu’s theories. The book where he published this thesis was considered as a reference book in organisations such as the Defence School of NATO22. Both contributed their grain of sand so that humankind could carry on beyond the end of the USSR which, according to A. Deulofeu, was the prolongation of the tsars’ imperialism. Outstanding prophecies of Alexandre Deulofeu: the case of China. Alexandre Deulofeu made public other prophecies, based on his theory of cycles. The one with the most traumatic consequences for humankind, with respect to the volume of population implied, is the crisis which may take place in China. «... in later years, with the speed of a lightning I have seen the collapse of all the forces under the control of a new hegemonic centre which, with its first aggression process, has carried out the conquest and unification of China, and carries on its aggression to Korea and Indochina». «As far as Asia is concerned, the Chinese empire will carry on its amazing upward process. It will seize all the Russian possessions in Asia, and it will only face the other giant, the Japanese empire, which, much as the German one, is now attaining a period of imperial plenitude». In the ninth volume of the longer version of La Matemàtica de la Història24, Alexandre Deulofeu gives a description of some supposed, coincidental, prophecies of the Great Pyramid and the Bible, which afterwards he compares with what his theory allows to foresee. This ninth volume should have been published a little after his death, which happened in 1978, but its publication was delayed until 2005. In page 193 of this ninth volume of the more extended Matemàtica, A. Deulofeu reminds us that the Chinese culture is at the end of its third cycle, but that a new Chinese imperialism has started its aggression process, and after the unification of the whole of China it threatens to go beyond and reach the lands of Israel and the Dead Sea. As a consequence of this overflow there would be a destructive collision between Germany, the protector of Europe, and this imperialist Chinese nucleus. Juli Gutiérrez Deulofeu, his grandson, and defender of his grandfather’s thought, warns about this danger in his book, Alexandre Deulofeu. La matemàtica de la Història25. At page 136 Juli Gutiérrez mentions sociologist Valerie Hudson, who calculates that, if things go on like at present, in 2020 in China there will be 40 million Chinese males without a partner, which will produce violence, delinquency and organized crime. «Analysts calculate to be more than 200,000 the industrial disputes which take place in China since the end of the 1990s. These disputes become more and more serious as the differences between rich and poor increase. These social differences are much greater in a country which still calls itself communist than in any capitalist western country. It is as bad as to say that in China at present there are over ten million slaves, that means people who get food for their work but no salary. But the situation of the 40 million unemployed who wander though the streets in the main north-eastern cities of the country looking for an opportunity to survive, is still worse. In fact their opportunities will be few, as it is foreseen that before 2007 the number of unemployed will multiply by three». «To avoid a social outburst which would have unpredictable consequences, the same as other empires did, the Chinese country will try and find abroad what they cannot get at home. A. Deulofeu already predicted this, and the inner reality of the country agrees with him. Catastrophe is impending»26. The case of the United States of America. Alexandre Deulofeu said that the USA constitute an imperialism in its federal phase, where society is divided between capitalists and proletarians, being these two definitions the ones used by A. Deulofeu. «... As of today, the USA has reached the apogee of their splendour and glory, which is peculiar to the end of the first aggressive process. At this time, empires appear to be invincible and they would be so, if they didn’t carry in themselves the seed of disintegration and catastrophe. What happened to the American empire? Exactly the same that happened to the other empires in the equivalent period of time. Symptoms are perfectly visible. On the one hand the hoarding of riches in the hands of one class, on the other the discontent of the working class. These circumstances have led all the empires to violent class warfare and have caused the fall of all in the hands of a dictator and the entry into the unitarian phase. Today the trails which drive the great American empire through these dangerous pathways are quite visible. The countless strikes show the dissociation to be found between capital and labour in the USA. Hate between capitalists and workers will grow and inevitably will lead to armed conflicts. Taking advantage of an outer war, American proletariat will rise against the governing class, the same as was done by the German proletariat during the war of 1914-1918. Then, the great American power will suffer endless misfortunes. The horrors of the French revolution will come back multiplied according to the large American population. There will be a great depression followed by an external invasion. There will be years of destruction, exhaustion and fight among the rival factions. This situation will lead to the set up of an absolute power and of new dreams of conquest and of universal hegemony. As a consequence, there will be a new tragedy for mankind27». Here is described a depression which may lead the USA to a treble civil war: one of confronted social classes, one of confronted ethnic groups, and one of confronted leaders. It is the counterpart f the War of Succession in the Spanish imperialism, or the French Revolution in the French imperialism. From this confrontation one faction would carry out the victory, a state on unitary bases would be established and an aggressive, absolutist, expansion would take the start, –the counterpart of Napoleon in France or of Hitler in Germany–, which would end with a military defeat, which would deter this imperialism from trying to conquer the whole world, to reach later its phase of plenitude, with a paternalistic trend, where it would just try and keep the possessions it already has. The case of the Spanish imperialism. The year 2029 the Spanish imperialism will reach 550 years of existence28. It must be kept in mind that 550 years is the average duration of any imperialism, according to A. Deulofeu, but the situation of this territory within the civilization cycle is still within the phase of great unification, just at the moment of the greatest depersonalization of human beings29. This anticipates a lack of understanding among the different nations which make up Spain, which will stop depending from the imperialistic frame on which they still lean to join Europe under the patronage of Germany. Making a forecasting effort, it is clear that, with goodwill from both parts, different sorts of solutions may be applied so that the above-mentioned possible conflicts (which A. Deulofeu’s cyclic theory allows to foresee) have as little as possible detrimental effects. But in this text we shall consider now how they could be solved according to the information supplied by Alexandre Deulofeu himself, and, besides that, applying the political, economic and social model proposed by Agustí Chalaux de Subirà. Agustí Chalaux and Horace Finaly. Agustí Chalaux de Subirà (1911-2006) was a restless teenager who, when he was fourteen, had the opportunity to attend a talk under the title of The role of bankers in society, given by banker Horace Finaly, the president of the Banque Nationale de Paris et des Pays-Bas (Paribas). When the time for questions and answers came, Agustí Chalaux asked to speak and at the end Mr. Finaly personally met the young Agustí. During fourteen years both used to meet at the banker’s place, and he explained him facts, ideas and information of the unknown inner world of his trade. «The meeting was at 8.30 p.m. in Mr. Finaly’s office. When I arrived a kind servant told me that monsieur Finaly was very sorry but could not be with me immediately, as he had an important meeting, and asked me to wait in the library. At first I passed the time going through the books. Afterwards, I sat at his desk and thoughtlessly I checked that some drawers were open. My soul’s remonstrances didn’t stop me from rummaging through the drawers. Everything was in order in folders, each with the name of their contents, all of them extremely interesting. My teenager’s cunning was cautious to keep the folders in the same order as they were. At the bottom of the last drawer I found a file with the word Confidential on it. I read its contents without understanding much. It was something new to me. It concerned an important meeting held in Paris in 1919. I remember that the exclusive participators in the meeting were J.P. Morgan, sir Henry Deterding, Mr. Finaly being the host. In the meeting they were alone, but now and again they called different experts, whose names I do not remember, and asked them some explanation. What I found more interesting was the résumé to be found at the end of the report. First. According to the experts, but also according to the general opinion of the great economists of before and during the war of 1914, the gold stock only allowed covering the war expenditure during three months. In order to overcome this difficulty, international bankers had suggested to the governments to abandon the gold convertibility of their paper currency, at least inside each country. Second. If the paper currency, separated from gold, which had been recommended and used during the war, now, after this ended, could be rationalized, it would allow international bankers and decision makers of the governing classes –according to experts– to earn more money than if the disinformative and anonymous money (which had been in use up to then, and up to now) was kept. Conclusion. The decision of the three was that they were not interested in rationalizing scriptural irrational paper money in force because, in the first place they had enough money and, in the second place, the present day paper money allowed to carry on the (unfair) game of world plutarchy. While I was keenly immersed in reading this report I received a terrible blow which threw me to the floor. For a moment I didn’t know what had happened, afterwards Mr. Finaly changed his attitude and helped me to get up while he apologized. He emphasized my tactlessness in the face of the trust he had shown, leaving me alone in his library with the desk drawers open. He told me that not even a servant would have dared doing what I had done (which I doubt, but probably he had more spies in other peoples’ places than the opposite). After this incident we had dinner. Nobody was aware of Mr. Finaly’s sharp reaction. During dinner he asked me what I had understood from the report. I told him that virtually nothing. –The word that most impressed me has been «plutarchy». –Little by little I shall explain it to you– he said. That day he didn’t explain anything. Later he would yield to the temptation of speaking at length with me about all these exciting issues. He delighted in opening his most hidden mind to a thirsty teenager who, with dark intuition, had guessed the importance of a knowledge which was being kept secret by this superior lineage of great bankers. Horace Finaly opened my head with an axe blow (...). Fascinated by all these discoveries I started studying Economics in Paris. H. Finaly made fun of the problems I had with my studies, as he thought that the economic studies we carried on at the university were very little scientific. On Mr. Finaly’s advice, and following my father’s wish, I matriculated in the School of Chemistry at Mulhouse. In this school they ruined all the rhetoric, all the idealistic way of thinking I had. They told me: phenomena are to be studied following a precise method, regardless of your ethical beliefs, transcendent ideals, ideologies and passions you may have. A phenomenon is a phenomenon, something objective that may be studied and documented. When you focus on the study of a phenomenon, you do just that, nothing else. Logic is useful to study phenomena and nothing else. Logic is not a concentration camp: you go in and out when you wish (not like religion). When you get out of logic you do as you please, because it is no use for ordinary life. This basic instruction has been very useful to me. The discovery of this scientific method, precise and meticulous, applied to physical and chemical phenomena, allowed me to start focussing on the study of social and economic phenomena with the same precision and thoroughness»30. Agustí Chalaux and Lluís Maria Xirinacs. 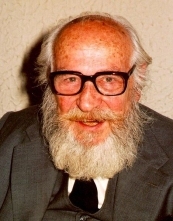 Agustí Chalaux lived his political experiences first in the world of the left-wing Catalanism, and later in the libertarian movement, where he verified in the revolutionary facts of 1936 in Catalonia that ideals are useless if they don’t go together with clear and rigorous solutions. The Soviet occupation of Hungary in 1956 convinced Agustí that revolutionary violence was useless, because the State is practically indestructible, as it has all the means to maintain itself. In the years 1979 and 1980 he got in touch with the former senator Lluís Maria Xirinacs, and convinced him to study a new political, economic and social model as an alternative to capitalism and communism. Mr. Xirinacs abandoned active politics and together with friends, old followers and other persons, they created, together with Agustí Chalaux, the Centre d’Estudis Joan Bardina, taking the name of the innovative educator Joan Bardina i Castarà. Historic antecedents of Agustí Chalaux’s model. The model worked out by Agustí Chalaux, Lluís Maria Xirinacs and their team aims at upholding individual liberties and at the same time to grant a minimum material sustenance for everybody, proposing a regime of economic transparency which would make corruption as difficult as possible, taking advantage of telematics, but without allowing this to become a totalitarian tyranny. The starting idea is based on the knowledge that in times of the state cities of the first Sumerians, there was a market based in temples which carried out bank duties, and was controlled by banker priests. The inhabitants took their products to the bank-temple in order to exchange them for money units, which were registered through several procedures, among them the clay tablets. 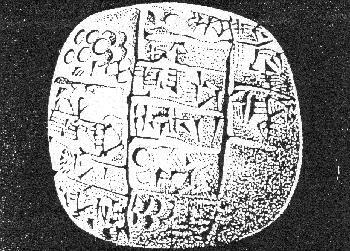 In these clay tablets, as forerunners of writing, the names of seller and buyer were given, besides the goods and money units used. Third millennium b.C. tablet from a place in Syria. According to the oral platonic tradition of the great bankers, which Agustí Chalaux learned from his mentor Finaly, this system gave the name to a golden age, where coins were not gold or silver, and where peace and responsibility prevailed. The practice of alloys and the subsequent metal money, completely anonymous, which favours unfair game, speculation and corruption, allowed king Sargon I of Akkad to wipe out the previous system based on the clay tablets and to start a race of succeeding imperialisms which has lasted unto our days. At that time came into existence imperialisms and economic corruption. The political, economic and social model of Agustí Chalaux. It consists of carrying out a system of informative marketing transparency as the one applied by the ancient Sumerians, stopping the use of present day anonymous coins and banknotes, but with the technical resources offered by modern telematic systems. In this system every commercial operation is carried out by means of a contract, called cheque-invoice, where the data of the seller, buyer, goods and currency units used are indicated. 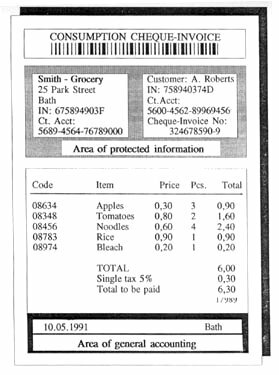 This cheque-invoice is a judicial proof of the exchange31. These operations are recorded by means of a number of communal telematic nets, controlled by an independent justice of the several political, executive and legislative bodies32. Justice, in order to grant its independence, receives and manages a fixed percentage of all the ordinary and extraordinary State budgets. In this telematic system, the statistical data of the whole market are available to all its agents33, while personal information is only available to the persons themselves and to Justice, in case there were a lawsuit in which they may be involved34. In order to ensure the sustenance of all the individuals in the market, it is suggested to establish an automatic system of incomes35. This may be a basic income or social salary for all the individuals who have no other income, in order to abolish material poverty. To ensure this income system, a working hypothesis is stated called of commercial common good according to which, if this more scientific economic system were applied, it must be possible to check or deny the existence of a communal wealth originated by inventions which no longer pay patent rights, which generate production surpluses which would allow to invent the necessary money for buying these surpluses, without creating inflation36. Should this hypothesis come true, Agustí Chalaux says that the growing point of his model would take place when the communal incomes were more productive than the private market itself, at which time would be reached what he calls libertarian communism. For reasons of economic caution, minimal taxes would still be applied while the confirmation or denial of this hypothesis arrives. These taxes would be applied to each cheque-invoice37, plus a tax on private property of the land38. We are not going to make a full abstract of the whole model designed by Agustí Chalaux and his team, but in what remains of it there is a number of steps to avoid a power concentration, such as a radical separation of the executive and the legislative State powers39. It also establishes that each individual person will be included in only one of the following charters, at choice: trade, communal-liberal, or mixed-craftsman40, where the members of the communal-liberal charter (such as teachers, lawyers, and therapists) may offer freely their services, and be rewarded with incomes of communal origin41. When Alexandre Deulofeu warns of the serious dangers which mankind and the whole planet may suffer, dangers which might cause an important backward movement in our level of technological evolution, these possible facts might thwart the intention of Agusti Chalaux that telematics offer us a tool to establish an economy based in transparency, and which makes much more difficult corruption, unfair game and misuse of power. Agustí Chalaux’s model as applied to China. Agustí Chalaux used to say slyly: «I have no problem with the rich, my problem is with the poor. And with the poor there are two solutions: either you kill them or you give them money so they stop being poor and buy in the wealthy people’s shops». In face of the crisis which may attain China as a consequence of its inability to feed basic products to most of its population, an exemplary solution would be the help from countries which produce surplus foods acceptable for the Chinese and other basic products for the needy population in the different areas in China. To start with, this solution presents a problem. This shower of surplus food, which should feed the unemployed and needy population of China, may be interrupted and not reach its destination, as it has happened with many shipments of help from the so-called first-world countries to the inhabitants of the so-called third-world countries, through the evil action of some corrupt go-betweens, speculators or officials. With the introduction of a telematic monetary system, to be compulsory and free and to include China, –considering the high technological level of this society– it can automatically be known which persons have no income. Then the necessary money can be created so that, delivered as a basic income, these same needy persons may buy the surpluses, thereby creating profits for the final shop-keepers, the go-betweens and the producers themselves which have generated these surpluses. With such an income system it is possible to face the announced crisis of resources until the Chinese themselves may resort to their own production sources. Agusti Chalaux’s model as applied to the U.S.A. In face of the predictable crisis he announced, Alexandre Deulofeu stated the need for the USA to change over from their federal phase to the unitarian phase with as little upheaval as possible. «Now, if we compare the human process with that of irrational animals, we may observe a fundamental difference consisting of the fact that animals cannot get out of their determinism, while man is breaking it all the time. Cats and dogs, from time immemorial, defend themselves with their claws and teeth, while man modifies continuously his defence means. In a similar way, since their origins animals travel on their paws, while man has discovered other transport means. With plants it is the same. Taken as a whole, they will follow their evolutionary cycle exactly the same all through the centuries, while the solar system is not modified, while man, in the process of discovering the laws of Nature, has modified his way of life and has gone forward. As a consequence, why shouldn’t man move on from the collective point of view when he discovers the laws which rule community life?»42. Among other measures, Deulofeu suggested the assignment of the great fortunes of the USA to the State, the adoption of a unitary structure with a strong government, and giving up the ambitions of conquest in order to step from one system to the next43. Setting up Agustí Chalaux’s model in a technologically advanced society, such as that of the USA, allows to establish a much more rational and scientific economic system than the ones in force at present, without having recourse to the nationalization of the great fortunes, but establishing a market which would be free and at the same time unambiguous, where there appears an exact description of the market statistical data within everybody’s reach, allowing the telematic monetary nets and the ability to invent money, which up to now was in the hands of a private institution, such as the Federal Reserve, to become from now onwards of public-communal property. The social sectors without incomes within the USA themselves could then benefit of these incomes to buy the surpluses of basic products, thereby eliminating poverty and averting the ghost of a civil war. The peoples of the old Spanish imperialism. Both Alexandre Deulofeu44, Agustí Chalaux45, and his disciple Lluís Maria Xirinacs46 advocate for a confederal structure of political organization to solve the disagreements among all the nations and people of the Earth. After being aware that the Spanish imperialism, as we know it, has an approximate validity period of five centuries and a half, we can avoid the conflicts intrinsic to this validity, and allow that the different Iberian peoples who want to may come in, peacefully and with their own voice, as full states inside the European institutions. As we can read in Deulofeu’s Chapter 19 of his first book, Catalunya i l’Europa futura, «in future Europe there will be a true League of Nations, which will make international armed conflicts impossible»47. Alexandre Deulofeu tells us that the natural evolution of the peoples implies an alternation of creative fragmentation stages and stages of great unification, where there is no new creation, but the creation of previous stages is transmitted. The confederal structure then allows, due to its flexibility, the pacific, but necessary, crossing of this natural evolution from one stage to the next and vice versa, in each of the places where these changes take place. The consummation of the planetary political process will be completed finally with the World Confederation, where all the nations on earth, with no exception, will keep their freedom, but joined together in a common political project which will remove the ghost of war from the planet’s surface. There is enough food for everybody. Since the times of economist Thomas Robert Malthus (1766-1834), one of the main worries of demographers has been the growth of the world population and the possibility that there may not be enough food on our planet for all its inhabitants. Malthus said that the growth in food production followed an arithmetical proportion, while the growth in population in his time followed a geometrical proportion. If things went on in the same way, the number of human beings on Earth could become too much for its ability to produce food. In 1929 Warren Thompson48 and others after him found that in the more developed countries there appeared a model of demographic transition, where countries went from a situation of high birth and death rates to a situation of low birth and death rates, as a result of their economic development. This model of demographic transition has spread to other countries, where a new feature has appeared: the latter are speeding up the stages with respect to the first ones arrived. The forecast is that, if things go on without great ups and downs, world population should get stabilized by the year 2050. On top of that, Dr. and agroecologist Peter Rosset’s team, demonstrates that every state’s territory is capable of producing the food needed by its inhabitants, even in the countries with a high population. It is a fact that we produce more than we need. He therefore suggests to distribute well what is produced, not to use technologies which go against the environment, to help improve small farms, which actually are the more productive, and to respect the food sovereignty of every country49. In this good distribution of food, the above-mentioned solution suggested by Agustí Chalaux’s team, may become a very effective tool. Intensive exploitation of seas and oceans. Besides the suggestions of the mentioned authors, the need to feed humankind may be still further ensured with the intensive exploitation of the seas and oceans. In the paleolithic age human beings lived of their ability as hunters, gatherers and carrion scavengers on land. The neolithic revolution went a step further in the exploitation of the land though farming and cattle raising. In the present day man still applies a system similar to that of the paleolithic age to tap the seas, based on fishing and gathering. The idea is to stop plundering sea vegetables and wild animals, and to establish wide areas to cultivate vegetal species and to grow sea animals, while leaving the remaining waters to natural ecosystems. With these solutions we could solve the problem of food supply for human beings without draining the natural ecosystems, until all the peoples on earth end their demographic transition model and human population on is stabilized. It is not necessary then to wait for the possible conflicts announced by Alexandre Deulofeu to help reduce world population and thereby allow its sustenance in the long run. Recycling, renewable energies and respect for ecosystems. There are many voices warning us about the need to transform productive and consumption systems of human beings based on ecologic factors. The first necessary factor is recycling of materials. If we humans keep in mind all the cycles of materials in production and consumption, we shall produce only recyclable products and we shall recycle all the rejected materials, so materially speaking we would not use up the planet. A second factor is the exclusive use of renewable energies. If we humans use only renewable energies, we shall stop using fossil and nuclear energies, and we shall introduce the use of free energies if they demonstrate their effectivity, then from the point of view of energy we would enjoy an unlimited abundance50. A third factor is respect for natural ecosystems. Both on land, in rivers, seas and oceans, human beings must respect natural ecosystems which allow also our sustenance. «Now, in order for the relationship between man and nature to change, to move from the present day possessive and destructive trend to one of respect and admiration, it is necessary for a radical mind change, and this takes time and cannot be imposed by law. Here the social libertarian structures can help to quicken the process. A clear and transparent society, responsible from the point of view of currency, with a lot free time, with a productive abundance and a great communal solidarity towards the needy, is a society which does not put obstacles in the way of ideas, social experimenting, which does not condition the minds but on the contrary gives them freedom and helps them in their initiatives, and therefore promotes change and social transformation»51. At the same time, the application of these technical solutions mentioned last, would help the consummation of Chalaux’s economic model towards what he calls libertarian communism. Alexandre Deulofeu, with his theory, warns us of the possible dangers, and with his active action in favour of peace, he gives us example. Agustí Chalaux and his team at the same time give us a tool together with the model. With this tool and the explained solutions we may overcome challenges successfully, and demonstrate, with this redressing of our direction, up to now selfish in the short term, that we deserve to go on existing. After that, we may help the ascension of our planet and of mankind in the path of collective evolution. Barcelona, Monday 8th March, 2010. We wish to thank all those persons who have made corrections and amendments to this document. 1In this text, instead of the word empire used by A. Deulofeu, we shall us the word imperialism, which belongs to the vocabulary used by Agustí Chalaux, who endorsed a language as univocal as possible in the study and application of social sciences. On the other hand we leave untouched the textual quotes. According to A. Chalaux, empires are freely set up by nations which come together looking for protection and safety... while imperialisms are compulsorily set up by nations submitted to the stronger one. According to him, most of the so-called empires are actually imperialisms. 2Alexandre Deulofeu, Memòries de la revolució, de la guerra i l’exili (Memories of the revolution, of war and of exile), vol. 1, page 14. 14Alexandre Deulofeu, Naixement, grandesa i mort de les civilitzacions (Birth, greatness and death of civilisations), page 61, Catalan edition of 1970. 18Which we may call empire if it is freely constituted. 20Alexandre Deulofeu, La Matemàtica de la Història (Mathematics of History), this book written in 1948 was published in 1951, and is based on a more extensive work finished in 1945. 22Víctor Fernández Bolívar, Los Principios matemáticos-históricos y la Evolución de la Libertad (Mathematical-historical principles and the evolution of freedom). 23Nacimiento, grandeza y muerte de las civilizaciones (Birth, greatness and death of civilisations), page 204, in 1956. 24Alexandre Deulofeu, Les cultures irano-sumèria-caldea, hitita i egípcia (The Iranian-Sumerian-Chaldaic, Hittite and Egyptian cultures). 26Juli Gutiérrez Deulofeu, Alexandre Deulofeu. La matemàtica de la història (Alexandre Deulofeu. Mathematics of History). Page 137. 27Alexandre Deulofeu, La Matemàtica de la Història (Mathematics of History), first edition of year 1951, second edition of 1967, pages 203 and 204. 28Year 1479 is when the Catholic kings became kings in their respective reigns. 29Alexandre Deulofeu, Naixement, grandesa i mort de les civilitzacions (Birth, greatness and death of civilisations), page 127. 30Agustí Chalaux, Notes autobiogràfiques (Autobiographical Notes). 31Magdalena Grau Figueras, Agustí Chalaux de Subirà, Essay on currency, market and society, edition of the year 2000, chapter 4, paragraph 1, page 69. 32Ibid., chapter 6, pages 89-90. 33Ibid., chapter 13, paragraph 2, page 139. 34Ibid., chapter 6, page 90. 35Ibid., chapter 14, paragraph 4, page 151. 36Ibid., chapter 22, pages 226-227. 37Ibid., chapter 7, page 93. 38Ibid., chapter 14, paragraph 5, page 155. 39Ibid., chapter 11, page 124. 40Ibid., chapter 10, pages 117-118. 41Ibid., chapter 16, paragraph 3, page 182. 42Alexandre Deulofeu, La Matemàtica de la Història (Mathematics of History), page 213, first edition of 1951, second edition 1967. 44Catalunya i l’Europa futura (Catalonia and future Europe). 45Essay on currency, market and society. 46 During the constituent senate of 1977-1978 in the Spanish state, the team of the independent senator for Barcelona Lluís Maria Xirinacs, taking also into account suggestions of popular origin, submitted a confederal constitution for the different nations of Spain. This proposal was published in Catalan in his book Constitució, paquet d’esmenes, and in Spanish in his book Constitución, paquete de enmiendas. In these two books he submits his project of constitution, as compared with the text approved by the Spanish parliament, which is not the exact final text approved in referendum. After this unsuccessful attempt, Xirinacs upheld the independence of the Catalan nation with respect to Spain, France and Italy, but carried on vindicating the confederal model to be applied to all the political levels, including continents, such as Europe, and the whole world. At that time he calls for an assembly tree made up from bottom to top by individuals, going through the different vernacular nations, such as the Catalan nation up to the European and World Assemblies. 48W.S. Thompson, Population. American Sociological Review 34 (6): 959-975. 49Peter Rosset, World hunger: 12 myths, published in Spain by Icària: Doce mitos sobre el hambre, mentioned in an article by Imma Sanchís: Todo país puede alimentar a su gente (Any country can feed its people), in La Vanguardia, Saturday 16.04.2005. La Contra, page 76. 50Example: Greenpeace report Renewables 2050, of 23rd November 2005, mentioned in press articles such as: Ángela Rodríguez: Catalunya té energia neta en abundància (Catalonia has plenty of clean energy). Metro Directe. Wednesday 23rd November 2005, and Renovarse o agotar la naturaleza (Either we renew ourselves or we shall deplete nature). Metro Directe, Friday 25th November 2005. 51Magdalena Grau Figueras, Agustí Chalaux de Subirà, Essay on currency, market and society, edition of 2000, chapter 18, paragraph 3, page 204.